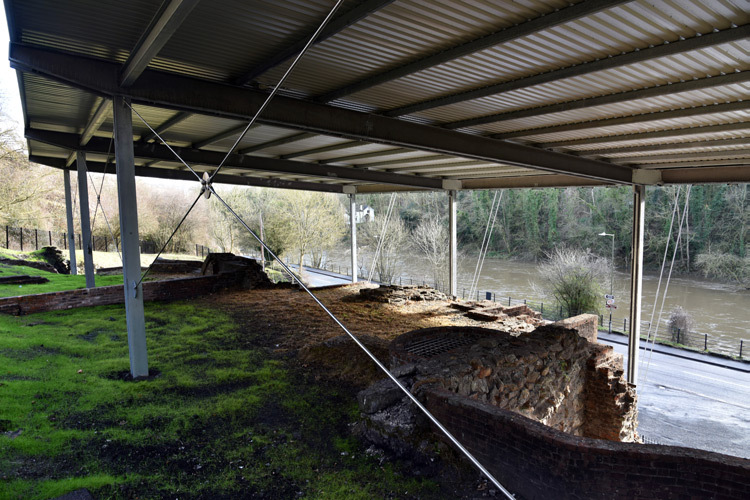 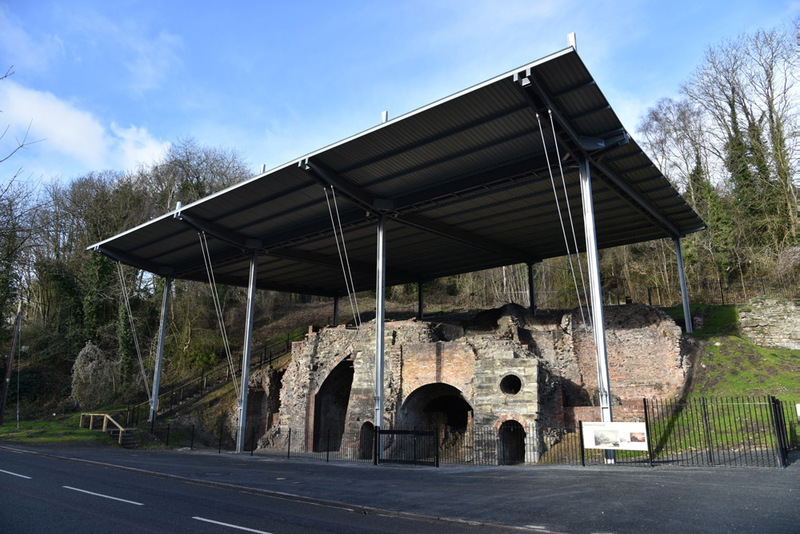 McPhillips undertook a project to provide a protective canopy over the site of the 18th Century Bedlam Furnace in the Ironbridge Gorge World Heritage Site. 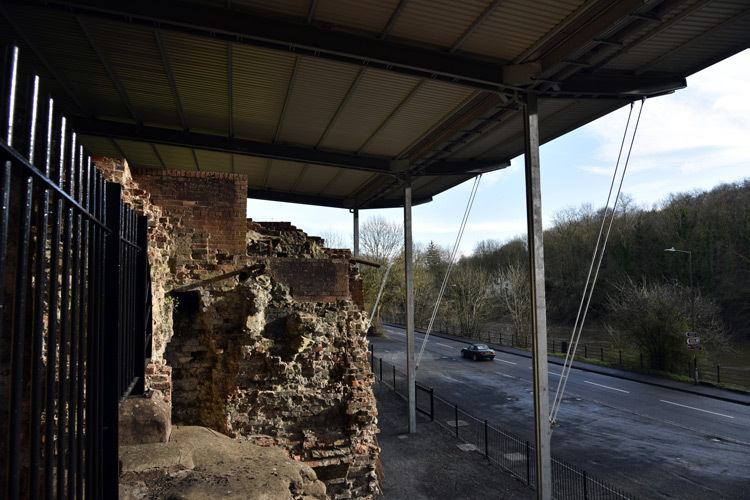 Built in approximately 1750 and of international historical importance the furnace is a sensitive artefact of the Industrial Revolution which has been damaged by rain water over many years. 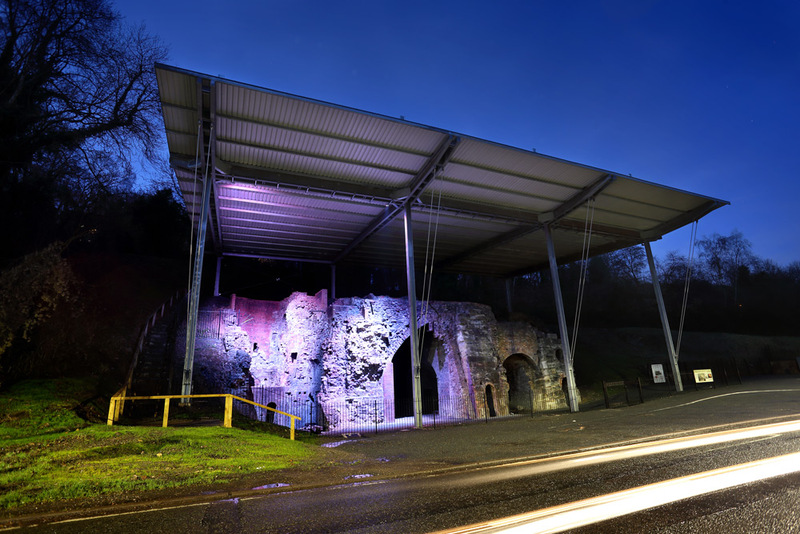 The works were to provide a 792m2 canopy using eight masts (maximum height 16.5m) to suspend the structure over 11m above the base of the furnace. 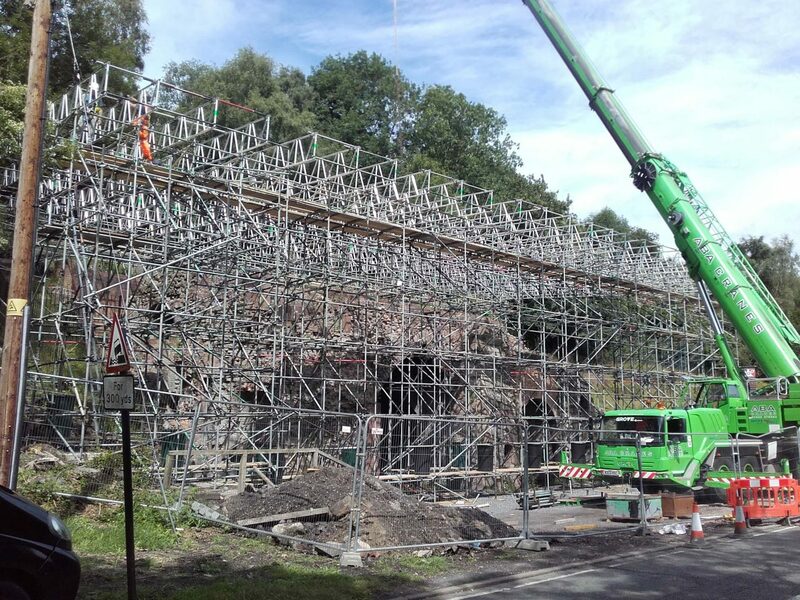 A complex temporary works scaffold design was required to provide working platforms at all heights of the structure. 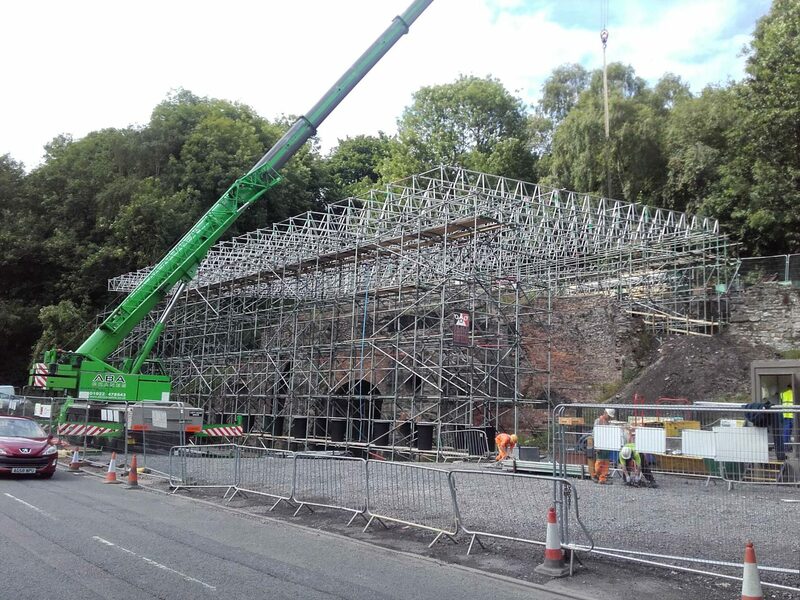 Mass concrete pad foundations were used to support the masts and the single skin steel decking was craned into place and fixed in sections. 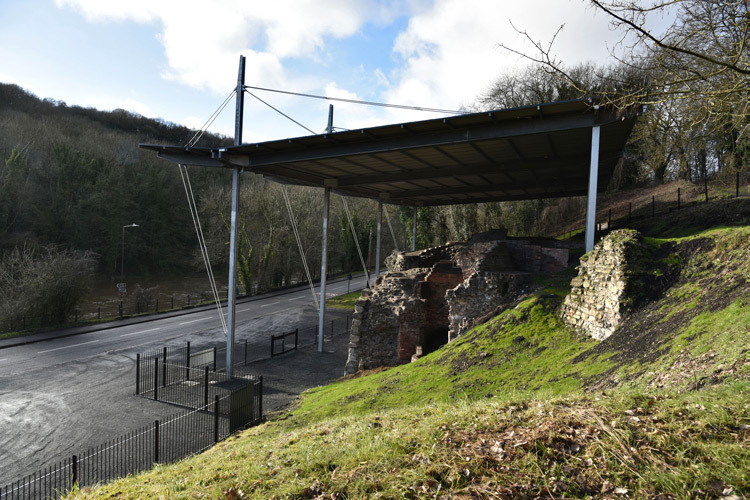 Surface water drainage improvements were provided with downpipes draining the canopy and provision of a 225mm gravity sewer crossing the B4373 with construction of a headwall for the outfall into the River Severn.